Apache Cassandra 4.0 has several enhancements. One of the biggest enhancements is switching from blocking network IO using JDK Sockets to Non-Blocking IO with Netty. As a result, Cassandra has seen gains in performance and efficiency. These gains translate into real-world costs and allow Cassandra to scale better. This presentation will take you on a tour of the improvements of Cassandra's network layer (old & new) and help quantify the gains in real-world terms. 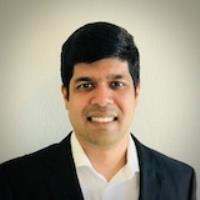 Dinesh A. Joshi has been a professional Software Engineer for over a decade building highly scalable realtime Web Services and Distributed Streaming Data Processing Architectures serving over 1 billion devices. Dinesh is an active contributor to the Apache Cassandra codebase. He has a Masters degree in Computer Science (Distributed Systems & Databases) from Georgia Tech, Atlanta, USA.